I did not bring my pasta maker with me from Florida. As much as I loved it, it was in a big box, and honestly required about seven hands to use it in any smooth fashion. 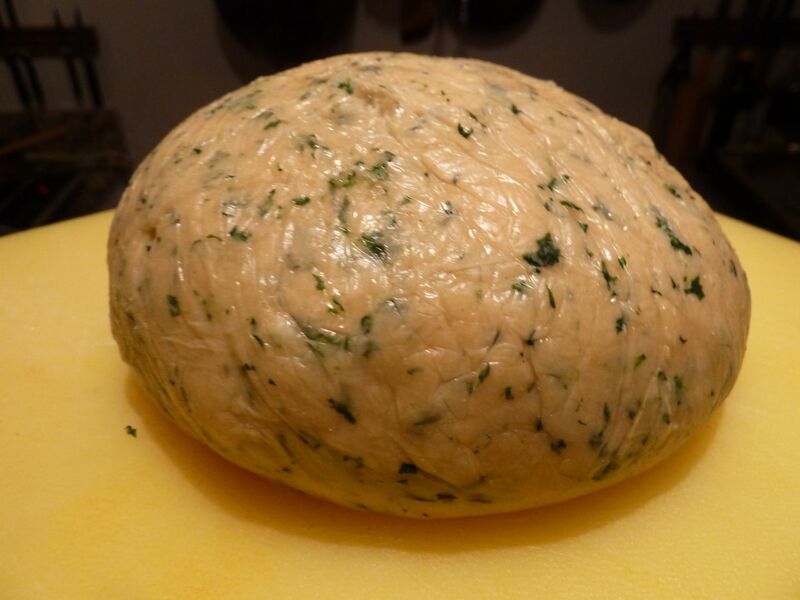 So I gave it to my friend Lawrence, who I hope is making fresh pasta. a) There are many places in Florida where you can just go kill wild boar. Don't need a license and there is no season when hunting on private land. So a lot of landowners set up businesses where they allow weekend warriors to come in and shoot boar. They will help you "track" them, and have dogs that will help in the process. They charge you to do this, and you pay them for the privilege of removing a nuisance animal from their property. Sounds like a scheme. b) I haven't shot a gun since I was about 9. It was probably a really weak gun, possibly BB, and I remember thinking it broke my arm on recoil. I had two fears: First, that I wouldn't hit the animal. Second, that I would, but not in such a way that killed it, and it would get away injured, die in the woods in pain and haunt me forever. c) I needed about a pound of meat. Seemed irresponsible to kill an animal for a pound of meat. I was pretty sure I would put the whole animal to good use. But for the immediate purpose, I needed a pound of meat. So to address B, I asked my friend Ronnie, who shoots guns as part of his job sometimes, if he thought he could make a kill shot on a boar. "Heckkkkkkkk yeah." There was much confidence. Then another friend of mine told me that a lot of these ranches that let you come shoot boar are a little shady. Well, I don't know if shady is the right word. I was told a lot of them basically bait the field, take you to the spot, and tell you to shoot one. Like, it would be hard to miss hitting something. And that jibed with my Internet research on the ranches, which all but guarantee you'll be taking home a boar after a couple hours. That wasn't really how I wanted this to go down. Then one day, I got an e-mail from a co-worker asking if I could smoke a shoulder. Well, yeah, at the time, before I gave away all my grills, I could smoke a shoulder. It seems that a colleague of his had gone bow hunting over the weekend and taken a boar. He wanted some of it smoked, and offered to let me take a chunk of the smoked shoulder if I wanted. 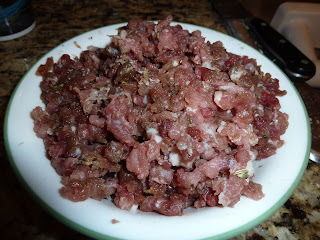 "What I really want is about a pound of leftover chunks so I can make sausage," I told him. That seemed to surprise him, but one day when I was at work, I was brought a boar shoulder and a bag of boar chunks. To some, it might be weird to have a cooler full of boar parts at their desk at work. But it surprised none of my colleagues that I did. I smoked the shoulder and returned it, and the chunks ended up in my freezer, where I forgot about them for a couple of months. Then I found them when I was emptying the freezer. I briefly considered making this dish before I left, but I really needed to make that warm testa. 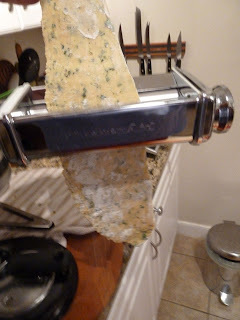 Plus, by this time, I had given away the pasta machine. 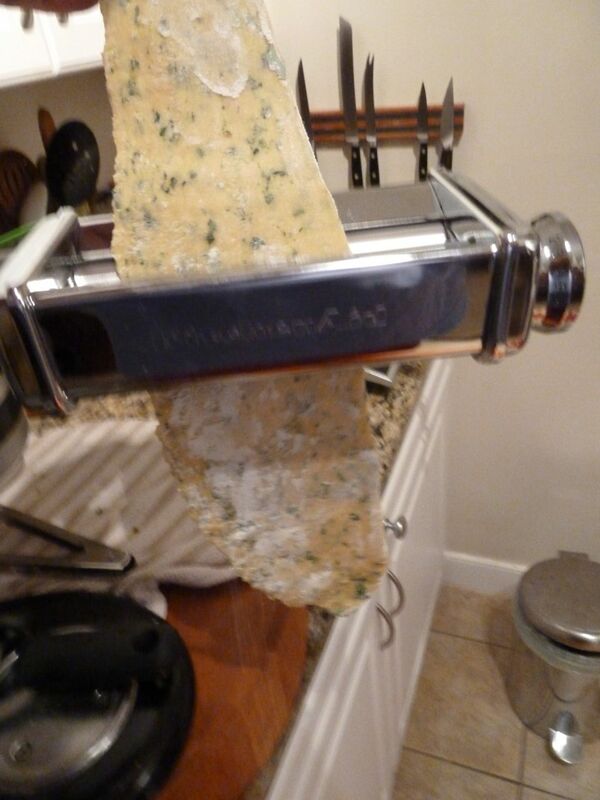 Fast forward to recently, when I got the pasta rolling attachment for my Kitchen Aid. It was way more expensive than the little hand-cranky thing. But it's totally awesome, and best: can reasonably be used by people who only have two hands. 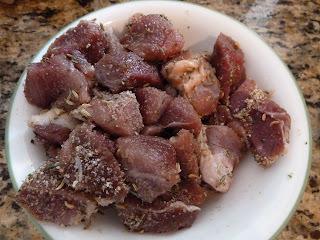 The recipe calls for a ragu of boar sausage, so I turned my boar chunks into boar sausage with the addition of some sugar, salt, fennel, pepper and rosemary. After the browning stage, I already knew this recipe was going to work out well. I made the pasta, my first batch in about nine months. I triple-heart that attachment. Was soooooo much easier to use than the hand-crank. My pasta didn't turn out green. 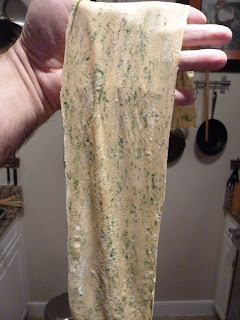 It was pasta-colored, with green spinach flecks. In the book, it is clearly green, like, the verdant flesh tone of a chick that Capt. Kirk might hook up with on Star Trek to prove some nebulous moral point to people in the '60s. Mine never made it there. Mine was of a flesh tone that never would have turned a head in any generation. But with green specks. Shrug. It was delicious. Fazzoletti apparently translates to "face towels," which means that this pasta barely gets cut. it just goes in in big squares. I can do that. It might be my new favorite pasta shape. Mario has the recipe posted on Facebook, if you're interested. "Purists first pooh-poohed the idea of dressing pappardelle with what is perhaps Italy's best-known and loved ragu, claiming that the cooks of Bologna would pair this sauce with nothing but tagliatelle. They were actually correct, but since it was my kitchen, and I love pappardelle, I prevailed." I like lasagna. And I was in my kitchen. So I prevailed. 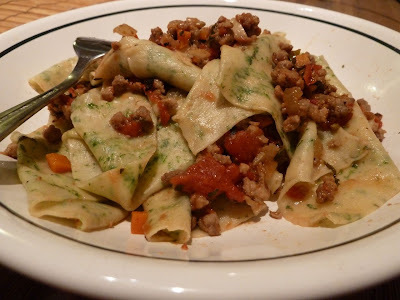 I started out making the Bolognese, which is one of the recipes that I've been looking forward to because a friend who is a Bolognese fan and says she rarely has a good one really liked the one at Babbo. And I trust her opinion. 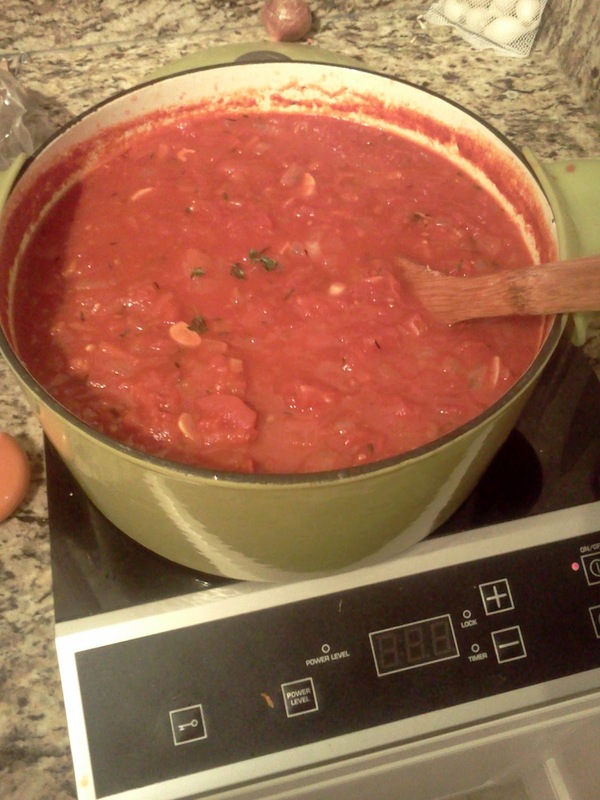 The recipe says it serves 6-8 people, and the headnote says sauce recipe will make enough for leftovers beyond that. So I did the logical thing, and doubled the recipe. I was making lasagna for about 12 people, and I still wanted leftovers. So after making the sauce, I went to put together the lasagna in my lasagna pan, which is from Mario's collection, and it huge. And is made of cast iron, so it weighs a ton. I filled it to brimming with pasta and sauce and cheese, and when I was done, I weighed the pan. It was 23 pounds. Granted, about half of that was the pan, but, let's just concede the 12 pounds of cast iron. I had a lasagna that was into double digits. I have rarely been more proud. My strategy of making more than enough sauce worked, and the leftover sauce made it into the freezer to be thawed and dispatched at a future date, when I need to dress some sort of pasta. Possibly pappardelle. Or maybe tagliatelle.